The Commodore 116 was the start of the ill-fated TED line of 8-bit computers, which sold poorly (for several reasons, particularly including lack of compatibility with the Commodore 64) until they were canceled and inventory dumped at a loss. That's a really huge price difference compared to the 64, which sold for several times that in the early eighties, and even later in the mid-to-late eighties was selling for $149, and considered to be a particularly cheap computer. One chip for both graphics and sound. So how was the 116 so much cheaper? That was not only at a different price level, but also a different time. After the ZX80 (and ZX81) was introduced, the US home computer industry was in shock. The VC-20 was introduced in 1981 at 300 USD where the ZX81 was just 70 GBP or (at that time) roughly 150 USD (*1). The C64 started out at 600 USD and dropped soon to 400, but the ZX Spectrum, introduced about the same time, started out at below 220 USD for 16 KiB and still below 300 USD for 48 KiB. These were killer prices, hard to compete with. And Sinclair machines made huge inroads in Europe (*2), especially in England (*3). Project Fear for US manufacturers. They all expected many more similar computers to come - especially other low-end machines from the Far East. Think Jupiter Ace, Your Computer, various VTech VZ-Laser series, SORD M5 or EACA's Colour Genie. All tried to come up with something to compete. Tandy who had introduced the already price-sensitive designed Color Computer at a quite competitive (with the C64) 399 USD, went ahead and created the MC-10 to go even lower and managed to offer it at 120 USD - a ZX Spectrum alike machine at a ZX81 price (*4). Commodore's bet was the 116. Their goal was, like with Tandy, not just cost cutting, but cost cutting to the absolute bottom. Going on par with or below Sinclair's offer. US companies as well tried to jump the train - like Mattel's Aquarius or Spectravideo's SV-318 (as a low price variant of the SV-328). In many ways this race to the bottom (price-wise) was what initiated the home computer wars. A large number of companies competing over a not as much growing market ... and Commodore as a Behemoth smashing everyone else. particularly when looking at the estimated bill of materials for the 64 So how was the 116 so much cheaper? So 25.80 USD less is like a 40-50% price reduction compared to a C64. I'd call that great savings. This prototype board is the same size as the C64 and gives a good impression how much fewer parts the C16 uses. It also shows an attempt to go for a single sided PCB to save even more. For production they did go double sided again, but with a reduced board size to save cost due to size and the missing need for wires. The C116 board was again more tightly packed to fit the smaller case (and save even more). *1 - Half a year later it was more like 110 USD due the steep drop of the GBP. *2 - Well, US manufacturers did help a bit by selling their machines in Europe with an even higher margin - for example in Germany the C64 was introduced in 1983 at 1500 Mark - that's about 600 USD - at a time when the US sales price was already below 400 USD. *3 - Which in turn always got more coverage than other European countries - so it may have seemed even more frightening. *4 - Its real drawback, which eventually killed it, was a missing compatibility with the CoCo. 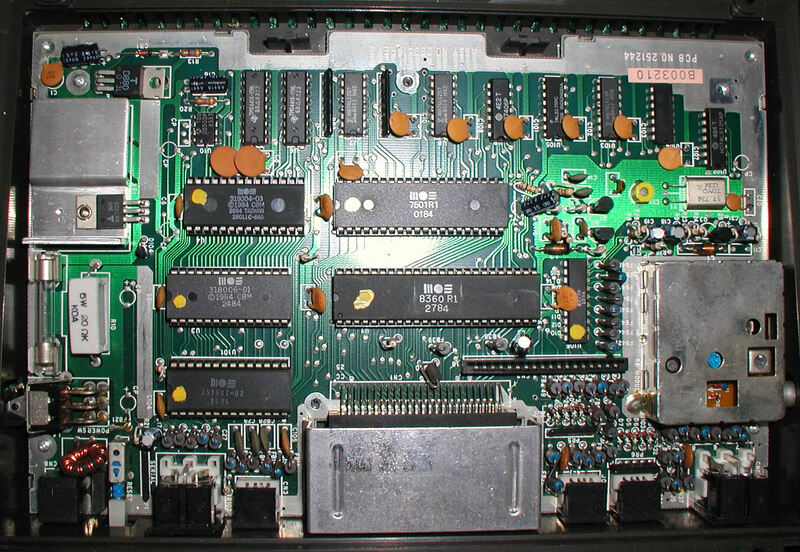 To cut the price as low as possible the (relatively) expensive 6809 was replaced by a 6803 with built-in ports. Bad decision. No CIA6526 chips either. These must have been a few $ per piece internal price. The power supply was much smaller and cheaper. The C64 "doorstopper" must have cost at least $5 to manufacture. I also think the price difference is against the original C64, which wasn't as highly integrated. Not the answer you're looking for? Browse other questions tagged commodore-64 commodore cost ted or ask your own question.